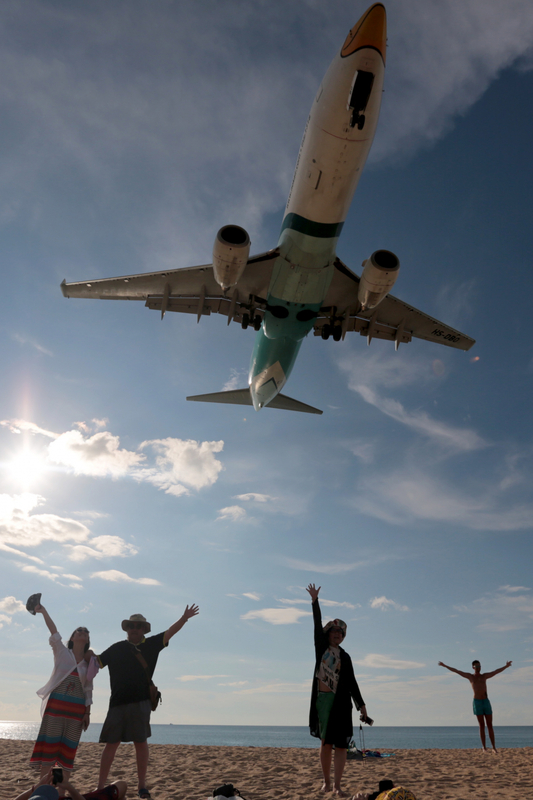 The beach provides a popular photo opportunity for visitors but are causing aviation safety concerns. Airport deputy director Wichit Kaewsaithiam, after a meeting chaired by deputy provincial governor Prakob Maneerung, said public access would be pushed back along the beach. "We want both the income from tourism and the aviation safety to co-exist," he said, adding that the prohibited zone will soon be drawn by a joint team of agencies. Wichit also warned people against flying drones or shining lasers at aircraft within a 9km radius of the airport. They were serious legal violations that would disturb aircrews and may cause accidents, he said.